In most places, the snowfall blanketing city streets during the winter is seen as a nuisance. In fact, heavy snowfall is often considered such an important test that blizzards can make or break many politicians' careers. Some places, however, are bucking the trend. They are treating snowfall as a resource instead of a burden. This is according to Marlene Cimons, reporting for Popular Science. It might seem almost like waste to keep giant snowdrifts around. But the hottest times of year are just when a big pile of snow might seem like a relief. With global temperatures continuing to rise, several countries have begun to experiment. They are looking at ways of saving their winter snow. They want to put it to use when they need it most. "Snow is not a waste, but a resource," Kasun Hewage told Cimons. Hewage is associate professor of engineering at the University of British Columbia. "With temperatures rising in many areas, and with them, air conditioning bills, we as societies are increasingly looking at resources and materials differently." Hewage's recent study was published in the journal Clean Technologies and Environmental Policy. It found that pumping air through a room cooled by snow could reduce the need for traditional air conditioning. Facilities in several countries, including Japan and Sweden, have already implemented ways to make use of heavy snowfall. They keep it in specially designed, insulated rooms. They can cool air conditioning systems. Or even keep food cold, Cimons reports. Cooling down office buildings isn't the only thing saving snow can do: it can also be a lifesaver for businesses that rely on regular snowfall, like ski resorts. 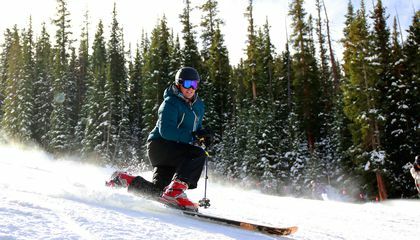 As winters get warmer and heavy snows become more infrequent, many resorts have turned to making their own snow to blanket their slopes. But by figuring out ways to keep as much of that snow preserved through warmer months as possible, these places not only make sure they will open on time, but can save money and reduce how much fuel they use each winter to keep their slopes fresh, John Hopewell reports for The Washington Post. In that case, keeping snow around can be as simple as piling it into mounds. Then the snow is covered with special tarps to keep in the cold. But snow-cooled systems likely won't be replacing air conditioners any time soon. It's also likely that the method would only be feasible in parts of the world that get a certain amount of snow each year. Currently, Hewage and his colleagues see it more as a potential option for cities and towns. They might recoup some of the expenses they accrue for removing snow by putting it to work to reduce high electricity bills, Cimons writes. "It is a proven technology ... (but) the economic feasibility of this is climate-dependent," Hewage tells Cimons. As the world gets warmer, the climates that could take advantage of this type of air conditioning could become increasingly rare. Why must snow be covered with special tarps to keep it cold? Snow must be covered with tarps to keep it cold because the UV levels may get to high and cause the snow to melt. This article is about ways to keep snow cold for uses in the summer due to global heat. It talks about how it is getting warmer in places and air conditioning bills are going up, so some scientists are trying to save the snow and use it for cooling houses. "Snow is not a waste, but a resource." I like this quote because I agree that many things can have more than one use and the is what these scientists are trying to make happen. They made a special type of insulation to hold the snow. There are many ways the snow can be used such as, keeping food cold, cooling air conditioning, can make ski resorts spend less money on fuel trying to make their own snow for the warmer winter days, ect. I think that people should save big snow drifs because it is good for are ecomey and it helps are word. In response to "Chill Ways to Recycle Last Year's Snow," I agree that we should start recycling snow. One reason I agree is that the world is starting to experience rapid climate changes. Global warming is beginning to take its toll on the Earth in the 21st century. We need to do everything we can to preserve anything cold. 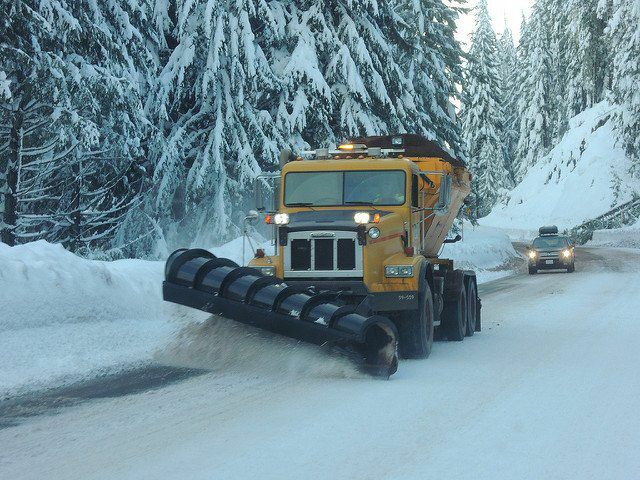 Another reason is that businesses could benefit from preserving snow. It says in the article that recycling snow could "be a lifesaver for businesses that rely on regular snowfall, like ski resorts." A third reason we should preserve snow is because it's easy. The article states that "keeping snow around can be as simple as piling it into mounds." Even though saving snow sounds a little crazy, I think that it could be a good idea to preserve snow and use it to our advantage.